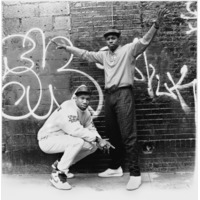 Boogie Down Productions was a hip hop group that originally comprised KRS-One, D-Nice, and DJ Scott La Rock. DJ Scott La Rock was murdered on August 27, 1987, months after the release of BDP's debut album, Criminal Minded. The name of the group, Boogie Down, derives from a nickname for the South Bronx, one of the five boroughs of New York City. The group pioneered the fusion of dancehall reggae and hip hop music and their debut LP Criminal Minded contained frank descriptions of life in the South Bronx of the late 1980s thus setting the stage for what would eventually become gangsta rap.